The Rohn RSLM-3FM is a frame mount for Rohn RSL towers. The 10’ mount is supplied with 1.90” O.D. x 0.145“ wall x 10’ horizontal pipes with 2.38” O.D. 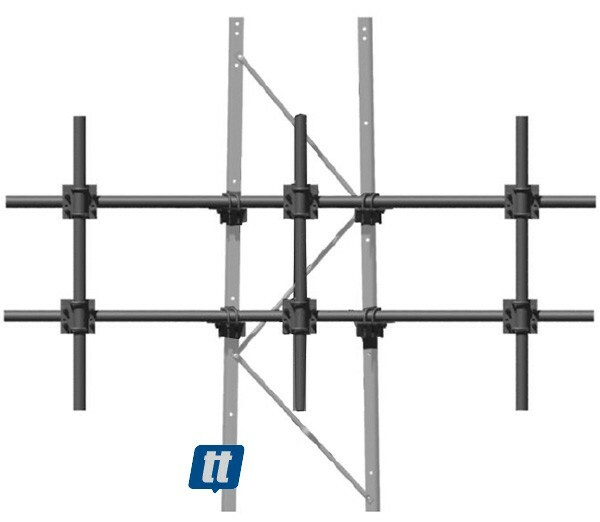 x 0.154“ wall x 5’ mounting pipes. PLEASE NOTE: This item is drop shipped directly from the factory to save you money. Typical delivery time runs approximately 3 weeks.